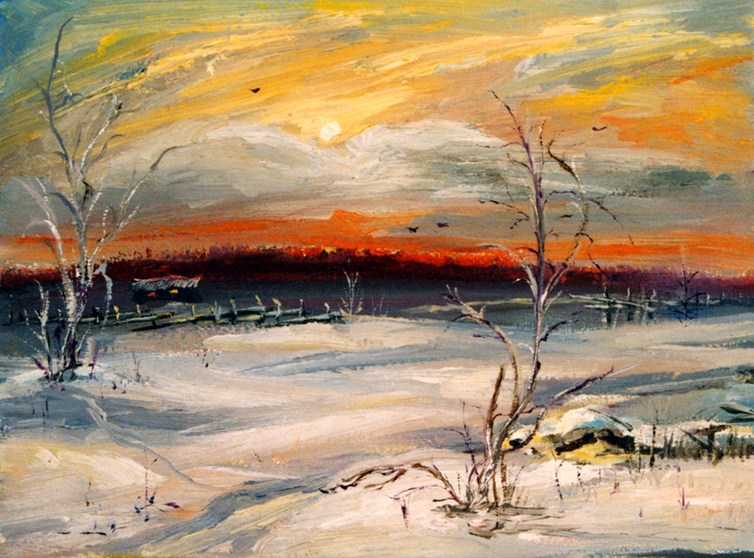 I loved paint the winter landscapes! Here wanted to create a winter evening atmosphere in Lapland! Mysterious, endless landscape with snow! Oh and I imagining that in these cottage over there live a Santa Claus! Your paintings are beautiful! I love the looseness of the brush strokes and your use of color. I have never painted with oils! This is so beautiful! I love the vibrant sky versus the snow areas! Thank you so much Theresa and Vicki! Usually in paintings winter is cold and almost monochrome. I am glad your winter is so opposite. Feel of passion in every work of yours. Great.